By the turn of the 20th century Dubai was a successful port. The souk (Arabic for market) on the Deira side of the creek was the largest on the coast with 350 shops and a steady throng of visitors and businessmen. By the 1930s Dubai's population was nearly 20,000, a quarter of whom were expatriates. Dubai's formula for development was becoming evident to everyone – visionary leadership, high-quality infrastructure, an expatriate-friendly environment, zero tax on personal and corporate income and low import duties. 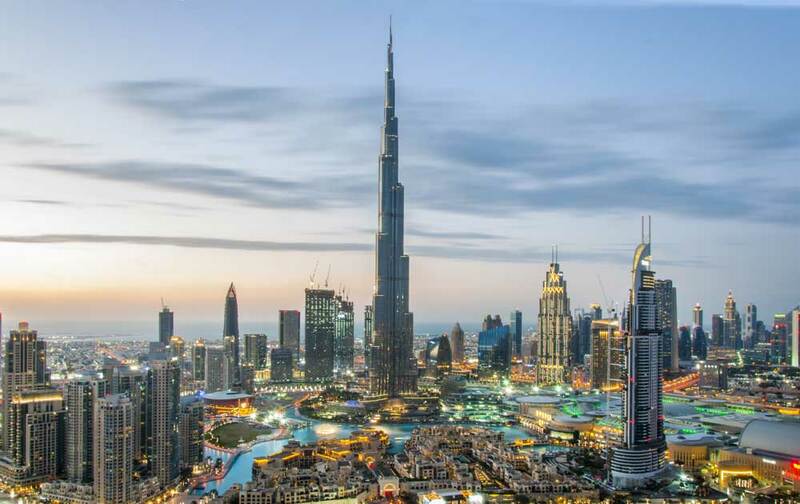 The result was that Dubai quickly became a business and tourism hub for a region that stretches from Egypt to the Indian sub-continent and from South Africa to what are now called the CIS countries. Dubai is now a city that boasts unmatchable hotels, remarkable architecture and world-class entertainment and sporting events. The beautiful Burj Al Arab hotel presiding over the coastline of Jumeira beach is the world's only hotel with a seven star rating. The Emirates Towers are one of the many structures that remind us of the commercial confidence in a city that expands at a remarkable rate. Standing 350 meters high, the office tower is the tallest building in the Middle East and Europe.